The Nicosia Aeromodelers Club (LE.A.LE.) aims to spread the aviation spirit, especially among young people, with the design, construction and flight of airplane and helicopter models. LEALE is a recognized aeromodelling organization by the Cyprus Sport Organization (CSO) and is a member of the Cyprus Aerosports Federation (CAF). 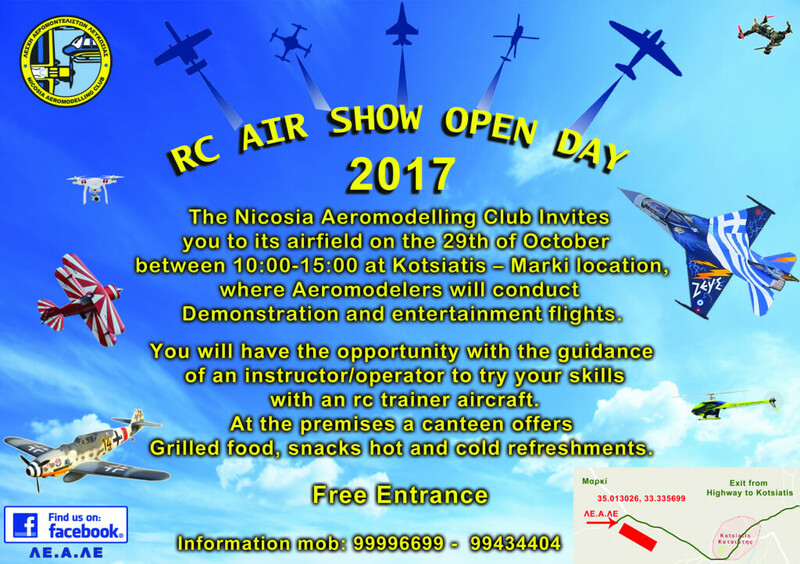 Visit this Sunday, October 15, between 11:00-19:00 the Aeromodelling Exhibition at The Mall of Cyprus.